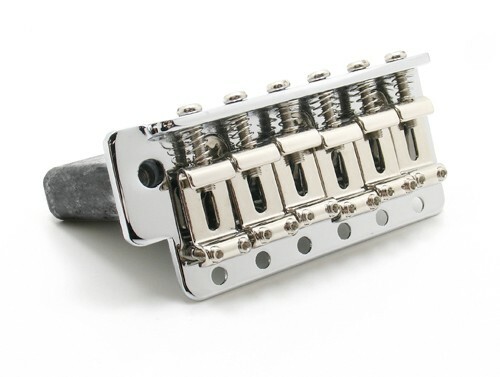 A traditional 6 screw mounted tremolo bridge with vintage style stamped steel saddles and steel block. 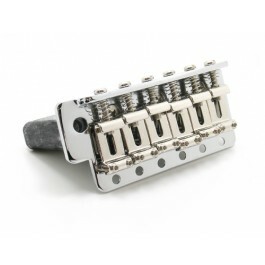 Featuring 52.5mm overall centre to centre string and screwhole spacing, commonly found on Mexican Standard / Import guitars. 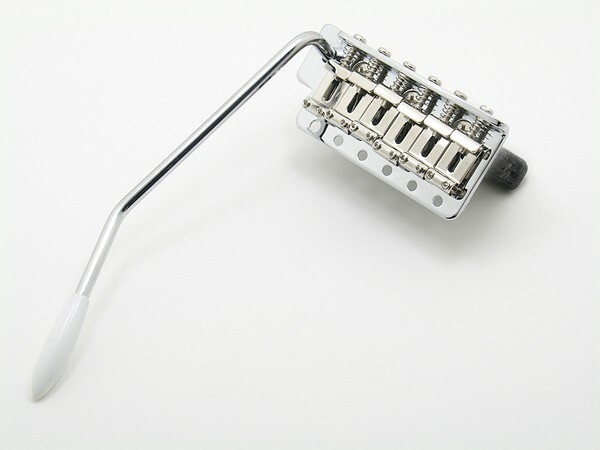 This tremolo will work with any guitar with a 2 1/16" (52.5mm) mounting spacing and a 1 3/4" (44.5mm) body thickness. © 2019 Realtone Music (Aus) Pty Ltd. ACN - 162 454 551. All Rights Reserved.